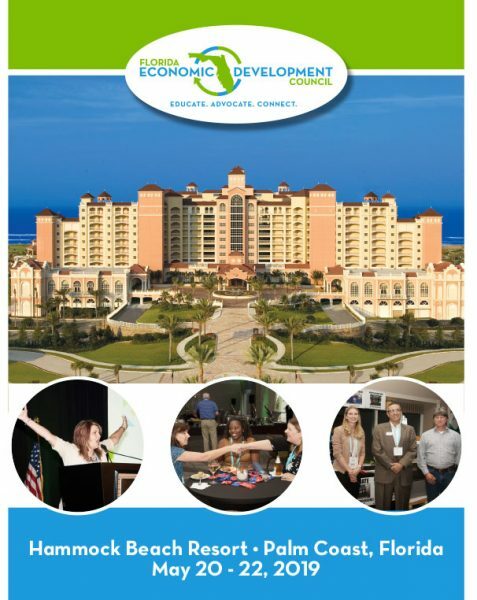 The Florida Economic Development Council invites you to join us at our 2019 Annual Conference at the fabulous Hammock Beach Resort in Palm Coast, May 20-22. This year’s conference is shaping up to be the best yet, so don’t miss out on the premier economic development networking and professional development event of the year! #FEDC19 will take place at the Hammock Beach Resort in Palm Coast. Book your room today. Be sure to use the code FLEDC. Rooms available under our room block are $159 plus 12% tax ($178.08 total) or $179 plus 12% tax ($200.48 total). View the 2019 conference brochure. Conference sponsorship opportunities are still available. The brochure has the details. Award nominations are now open. Be sure to submit your nominations before March 30th. We need donations for the Silent Auction that will take place before the awards ceremony on May 21st. If you have an intention to donate, please complete the donation form located here. If you have any questions or need assistance, please contact Jill Blackman at jblackman@fedconline.org or call 850-228-6211. We look forward to seeing you in Palm Coast!